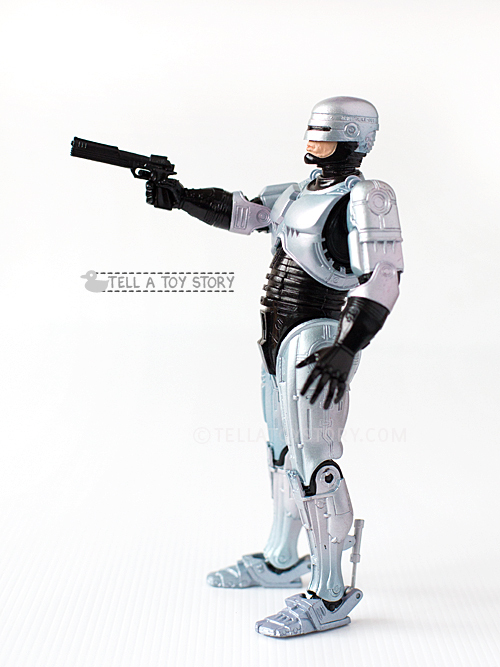 NECA 7″ RoboCop figure with spring-loaded holster. 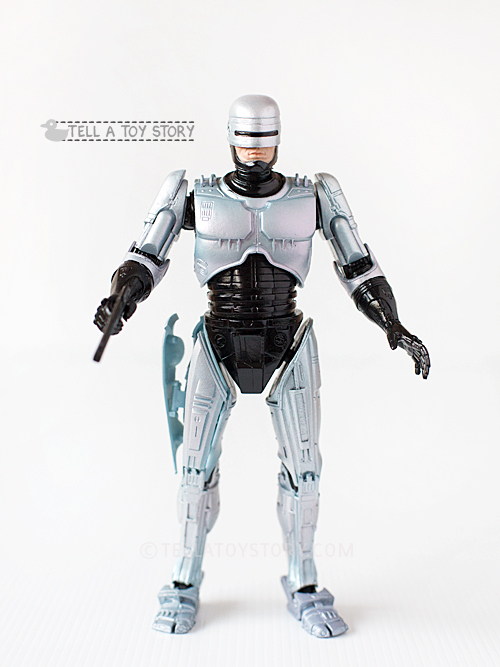 The holster pops open when the little level behind the right thigh is pushed. 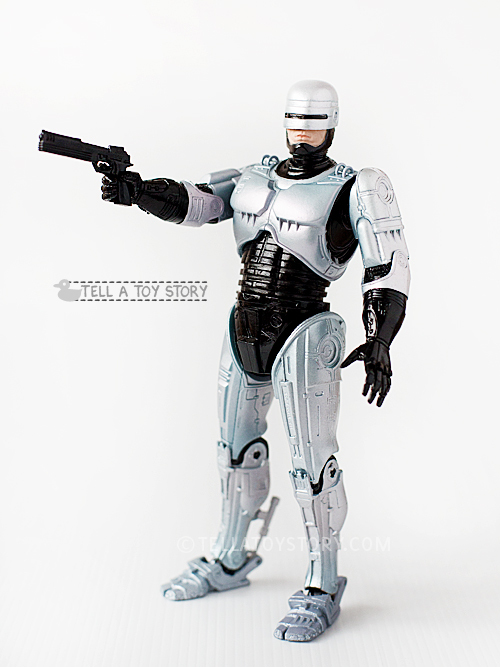 RoboCop’s Auto-9 fits in nicely. 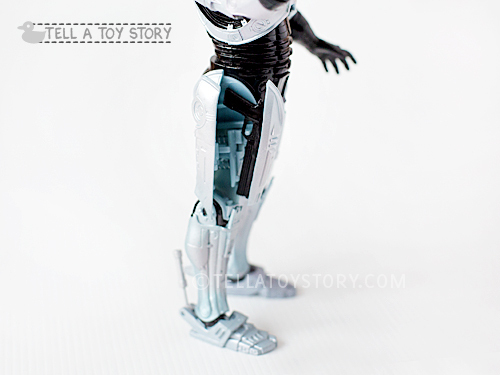 On the back, you can see the little level behind Robocop’s right thigh. You can see that the rest of the holster is virtually seamless when closed. 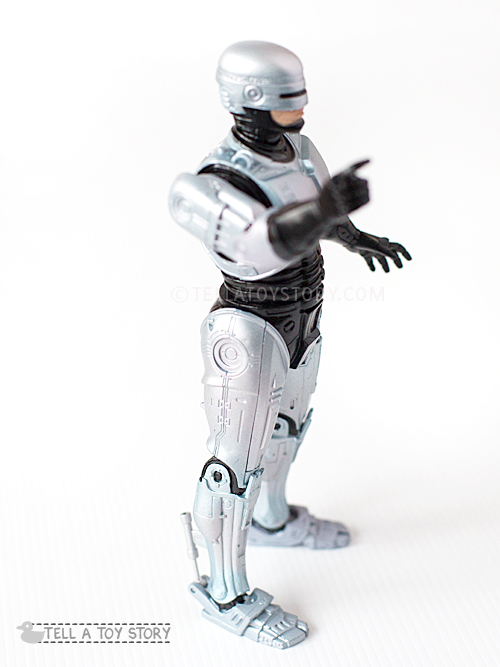 This RoboCop figure is as posable as the previously released versions with the same articulated head, torso, waist, arms, elbows, hands, hips, knees and feet. The spring-loaded feature does not restrict any movement at all. Other than the Auto-9 pistol, the interchangeable data spike hand is also included. 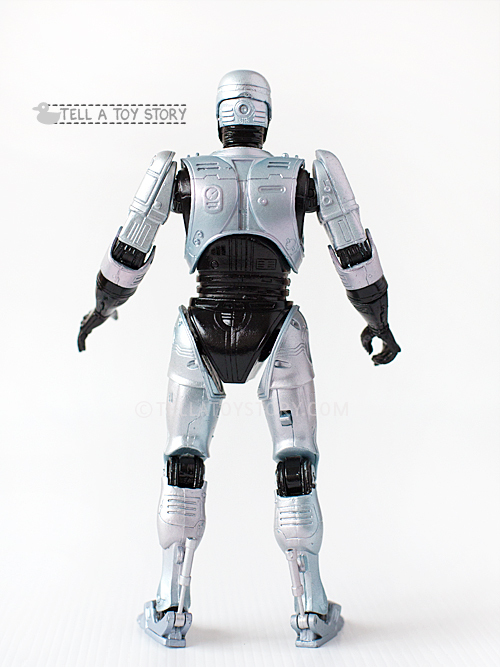 Great paint work overall, the metallic bluish, purplish, greenish shades appear just like in the movies. 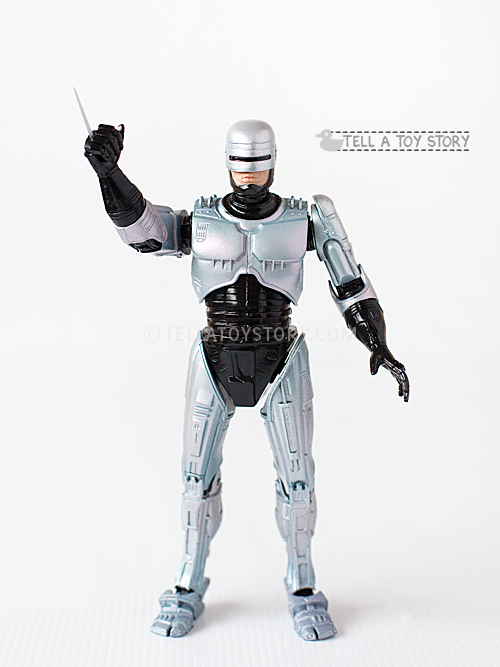 Another must-buy for RoboCop fans. 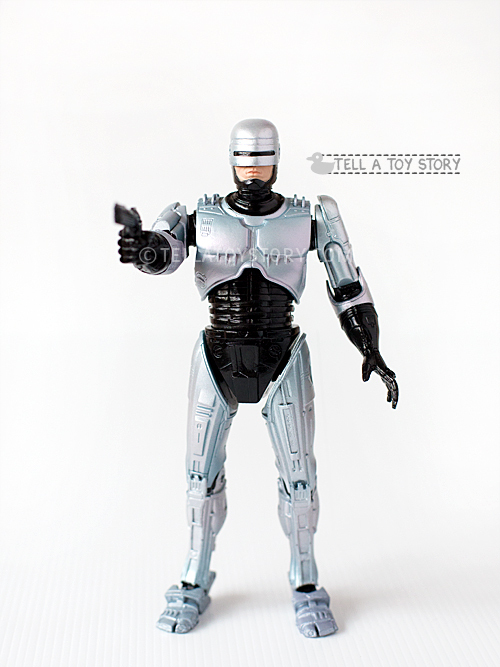 Don’t forget to check out NECA’s page for a video of the holster in action! *Credits: All photos in this review taken by wiffy.